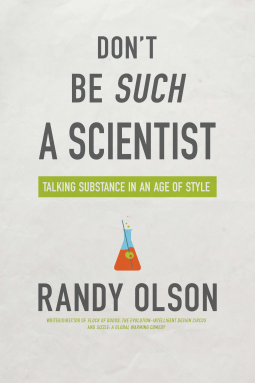 In this book, tenured-professor turned filmmaker, Randy Olson talks about the problems scientists encounter when trying to talk to the public. He offers explanations for why the difficulties exists and offers some solutions for getting the public interested in science. This book is definitely meant for scientists, though it can probably be used by anyone who finds that they have difficulties communicating. I also found some ways for me to better communicate with the scientists in my life. Olson does a great job of practicing what he preaches. He wrote this book with scientists in mind, but he made it accessible to a general audience. He uses all of the elements he discusses and is pretty good at keeping you interested throughout the entire book. If you've ever wondered why academics seem to have fewer social skills, or wondered how you can make your own messages more interesting, Don't Be Such a Scientist has a lot of useful advice.